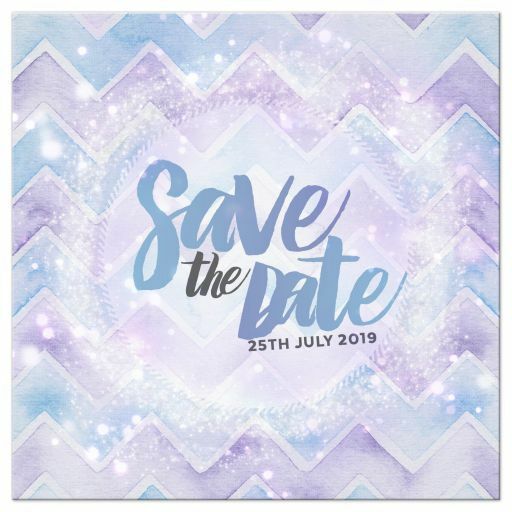 Dreamy and magical Save the Date card, designed with watercolour and stardust effect. 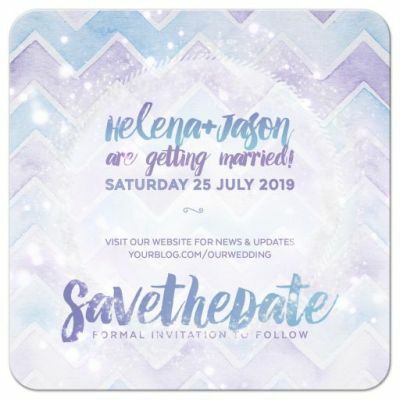 These very pretty lavender purple and blue pastel Chevron save the date would suit something unique and modern. Such a soft look with stylish brush script lettering – slightly Bohemian mix with modern winterish style design.